Business to business relationships are critical, especially in a market the size of ours, to maintain and grow your business. Our members are very loyal to other local members so where do they turn when they’re in need of a product or service? They turn to the members of our Chamber, who they know and trust. Our networking events have grown in recent years and for very good reason, they work! Good work is conducted in a relaxed atmosphere with your contacts. How do you make good contacts? Be one yourself. If you lead people to members that can help them, they’ll return the favor. It’s a long term investment, but it works. Talk to our staff about how to take advantage of all the opportunities our Chamber provides for our members. Our Chamber employees a Small Business Health Insurance Advocate, Nikki Davi, who is there to assist you with questions about how the national health insurance program fits into your business. There is no fee associated with our service, we provide it for you. We host seminars on business topics to improve your business. Healthcare, quality improvement, social networks, HR topics, OSHA, business startups, customer service, and working with a variety of personalities are just some of the topics we cover. We are connected with resource people at the Small Business Development Center to provide this service for our members. Business Assistance with planning, marketing, etc. The Small Business Development Center schedules appointments in conjunction with our Chamber to assist small business owners, startups or mature business may participate. Annual Dinner – at our November Dinner we recognize businesses, non-profits, and individuals who have had an exceptional impact in our community during the past year. Nominations are made by our membership and a selection committee reviews the nominations and makes selections based upon a set of criteria. 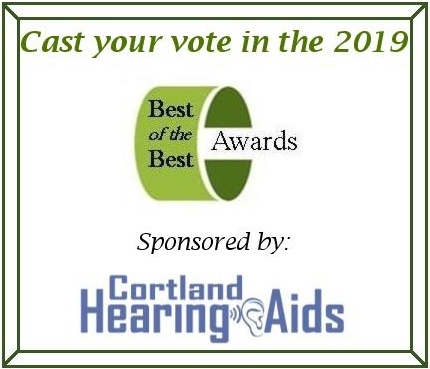 Awards Lunch – We open up community voting to determine “The Best of The Best” each year in 3-4 categories, allowing individuals to decide the products, services, and organizations they appreciate most. The categories rotate each year to call attention to our diverse membership. Held in the spring each year at the JM McDonald Sports Complex, the Showcase allows our members to display what they do in our community. 2,500 members of the community walk through the Showcase doors to visit the vendors. Manufacturers, healthcare, non-profits, finance, recreation, construction, restaurants, insurance, technology, furniture, and real estate, ITS ALL HERE! The Showcase is preceded by our Preview Party, the largest business gathering in the County each year. Members and vendors are invited and a crowd of 500+ is fed by 10-12 of our member restaurants. Our office acts as a clearing house for local information. We use our directory, both printed and on line, as our source to make recommendations for our community and visitors. Being one of our members means we know you and are happy to refer others to you. Monthly mailings to approximately 500 business locations leave our office to announce Chamber events. As a member you have the opportunity to receive the mailings and having a flyer advertising your business be included in the mailings. Our “GO TO” guide when making referrals. Our member real estate agents get them in the hands of people relocating to our area and our business loan officers get them in the hands of our businesses throughout our geographic area. Coming in 2017 will be the opportunity to have a page of your own that can be used as your businesses web page. Our Chamber maintains a strong working relationship with our representatives at the local, state, and national level. You’ll see them at our events and us at theirs. The working partnership we’ve developed assists us when there is pro-business legislation for us to promote and to provide a voice to respond when there are proposals that may be detrimental to our membership. The communication goes both ways and we appreciate our representatives calling us when they need our support also. We have a close relationship with SUNY Cortland and Tompkins Cortland Community College and act as a resource to match students up with local businesses and organizations to provide the students and our members with the best experiences. Our short term goal is to provide a good service to our membership and a good learning experience for our students. Long term, we want to showcase the opportunities we have locally to encourage our young professionals to remain in CNY after graduation. We make use of a partnership with our local travel agency and an international travel company to provide travel opportunities at a discounted rate for our members and community. Rave reviews come from those who travel with us.